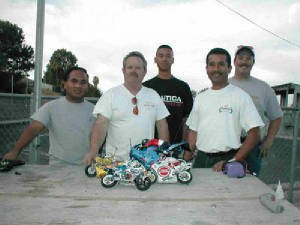 On a slow Sunday we decided to trek out to Antioch and check out the Delta R/C paved oval. 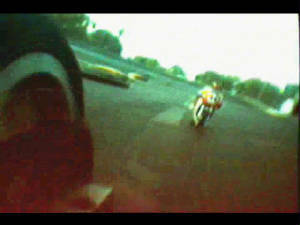 Taking advantage of a non-race weekend, we setup a 1/5th TT and 1/8th HOR for some on-board camera action. 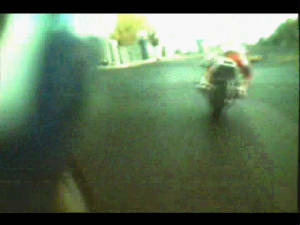 In the first sequence we setup the camera below the right crash bar of the TT facing forward and chased the HOR through the oval. 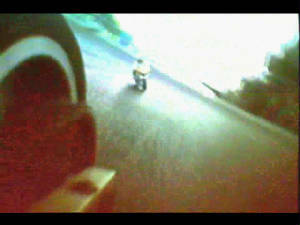 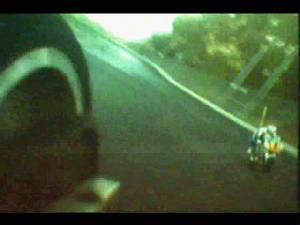 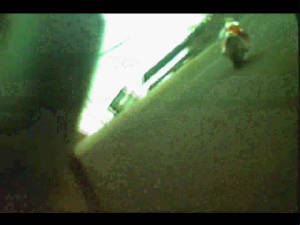 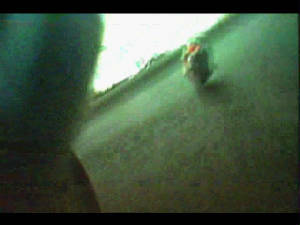 Next we switched the camera around facing backwards, this time mounted on the TT’s left side, with the HOR now following. 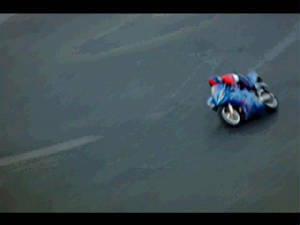 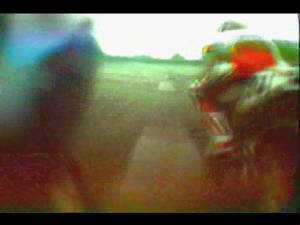 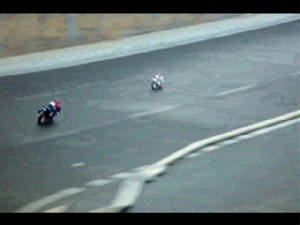 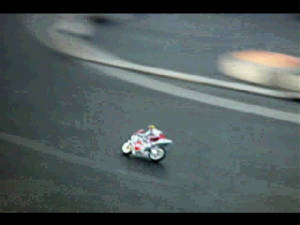 Check out these awesome vidcaps of Kevin Schwantz getting a knee down!